Constructed of 2” wide spring-tempered stainless steel with a beveled edge and convenient hanging hole. * 2.5mm thick for just the right rigidity. * Attractive brushed surface to minimize glare. 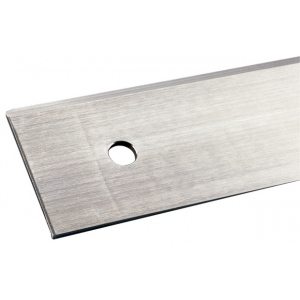 * Perfect for all kinds of cutting requirements.